Humans aren’t the only ones suffering this flu season. As Newsweek reports, a significant number of dogs across America are falling victim to strains of canine-specific influenza virus this year. The human flu is caused by multiple, ever-changing virus strains and tends to be most common during the fall and winter. In contrast, the two specific Type A influenza viruses that affect dogs—the H3N8 virus and H3N2 virus—are present year-round. It can spread through barking, coughing, and sneezing, and is highly contagious. The American Veterinary Medical Association says that any pooches exposed to the virus will almost certainly fall ill themselves. Similar to the human flu, symptoms include a cough, sneezing, runny nose and eyes, listlessness, and a high fever, according to U.S. News & World Report. "It looks like kennel cough, but [the dogs] get sicker faster," veterinarian Anita Moore, who runs an animal clinic in Lothian, Maryland, tells Mental Floss. "The dogs have a higher fever. Most of them can recover in two to three weeks, but it can kill some animals who aren't in good health." Unfortunately, this season seems to be an especially bad one for dog flu. 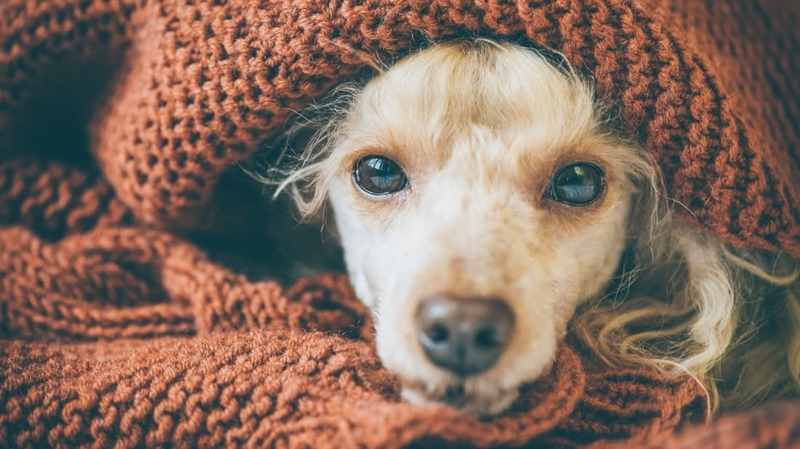 The Cornell University College of Veterinary Medicine, which uses online surveillance maps to track canine influenza transmission rates, has found that in the past 45 days alone, 109 dogs have tested positive for the influenza virus. California has reported 72 sick pooches, and other cases have been confirmed in Kentucky, Ohio, and Michigan. As a pet owner, there are steps you can take to protect your pup from the flu. You can get your dog vaccinated, for one—a dog flu vaccine hit the market in 2016. The two-dose shot takes a few weeks to fully kick in, and a booster shot is required each year. It's in your pet's best interest to get the shot, Moore says, as they can easily catch the flu at the groomers, the kennel, or while traveling. If you see symptoms, you should take your pet to the vet for treatment, make sure it gets plenty of rest, and quarantine it for three to four weeks to prevent the illness from spreading. And make sure to watch out for signs of pneumonia or dehydration, which may require additional lines of treatment. One big worry, according to Dr. Moore, is that the dog will contract a secondary bacterial infection. This can be deadly, so some vets preemptively treat influenza-stricken canines with antibiotics. You don't need to worry about yourself, though. No reports exist of humans catching canine influenza— although, since viruses are ever-morphing entities, experts don’t rule out the possibility. And if you own other dogs, your home can be sterilized with a bleach solution, although canine influenza viruses typically only survive in the environment for up to 48 hours.